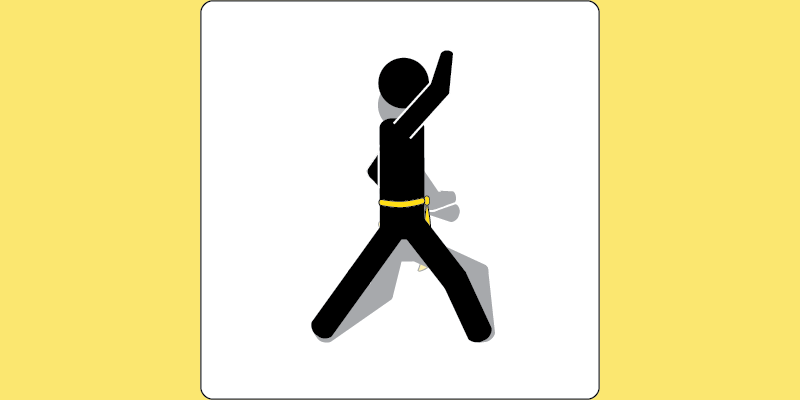 Anyone above the rank of yellow stripe in Ch’ang Hon taekwon-do knows what continuous motion is. It’s that weird motion in the latter half of Dan-Gun tul. But General Choi didn’t define continuous motion in the Encyclopedia of Taekwon-Do, so how do we know we’re getting it right? 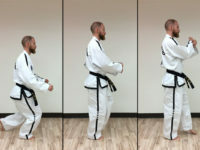 Continuous motion is just one of the ways of performing pattern techniques in taekwon-do. Throughout the patterns instructions in the Encyclopedia, General Choi made references to several types of motion, such as continuous motion, fast motion and slow motion. But while he made a point of writing down the details of all the taekwon-do techniques, he never actually wrote a description of these types of motion. Perhaps he just thought people would inherently know them. two techniques, with two sine waves and two combined breaths, that are performed slightly faster than normal motion. It also always starts with a block. I’m not sure why. Let’s break that definition down. But first, let’s watch multiple-time world champion Jaroslaw Suska perform Dan-Gun. The continuous motion section begins at around the 23-second mark. We know there are two sine waves because General Choi gave clear instructions for the continuous motion in Dan-Gun. When performing movements 13 and 14, we are supposed to drop down after the low outer forearm block into a second sine wave for the rising block. The second sine wave should be slightly faster than normal motion, but not as fast as fast motion. The (almost) exceptions are Po-Eun and Yoo-Sin, which both have long sections with continuous motion. Those sections are performed almost at fast-motion speed—but not quite. Unlike normal motion, there is no defined pause between the end of one technique and the beginning of the next. This links the two movements. According to Master Paul McPhail, General Choi said that continuous motion should be performed with grace and beauty. There are two breaths: one for each technique. Most performers tend to merge the breaths together as a sharp exhale followed by a long hiss and a second sharp exhale. This was apparently how General Choi performed it. The key is to inhale only once, before the first technique, then exhale sharply on each technique as you perform it. In a way, there are almost two types of continuous motion. The regular type, that we see in Dan-Gun, is also used in Toi-Gye, Ge-Baek and most other patterns with continuous motion. But remember when I mentioned the long sections in Po-Eun and Yoo-Sin? Not only are they performed slightly faster than regular continuous motion, but as a result they also have a slightly different sine wave. In 2004, an ITF Technical Committee agreed that that when two techniques are joined by continuous motion, there should be a complete sine wave for each technique. When there are more than two techniques, we use a ⅔ sine wave for each. That’s a lot to throw at you, so we’ll save that for an article on black-belt-level stuff. In the meantime, keep practicing that continuous motion.